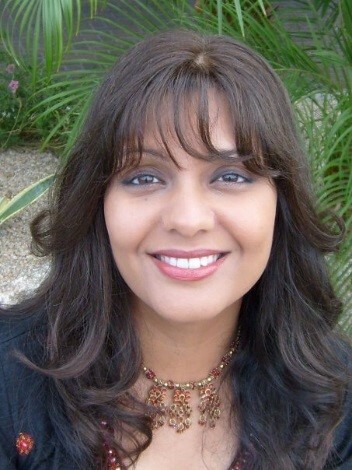 (LOS ANGELES) (JUNE 13, 2017) –The Chicago School of Professional Psychology (TCSPP), one of the nation’s leading nonprofit graduate universities dedicated to psychology and behavioral health services, is pleased to welcome Nausheen Pasha-Zaidi, Ph.D., author and lecturer at the University of Houston-Downtown, to its Board of Trustees. Dr. Pasha-Zaidi is a 2012 graduate of The Chicago School’s International Psychology Doctoral Program. In her role as a trustee, Dr. Pasha-Zaidi will, along with her fellow trustees, serve as a steward of The Chicago School by sharing responsibility for its general oversight and management, ensuring that any new initiatives serve to advance and fulfill the University’s mission. “This is an exciting opportunity, and I am honored to have been elected to the Board of Trustees. The University’s mission, values, and commitment to diversity and inclusivity are as important to me today as when I was a student. I look forward to contributing to the future development and success of The Chicago School,” said Dr. Pasha-Zaidi. Dr. Pasha-Zaidi was born in Karachi, Pakistan, and raised in New York. Previous to her role at the University of Houston-Downtown, Dr. Pasha-Zaidi worked as an educator and academic advisor in both the U.S. and the United Arab Emirates, where she specialized in English language learners and at-risk students. Her research explores culture, gender, and social justice in international systems, with a focus on Muslim populations. Founded in 1979, The Chicago School of Professional Psychology (TCSPP) is a nonprofit, private university devoted exclusively to psychology, and related behavioral health services. The Chicago School is an affiliate of TCS Education System, a nonprofit system of colleges advancing student success and community impact. The university serves more than 4,400 students across campuses in Chicago; Southern California (Los Angeles and Irvine); and Washington, D.C., as well as its Online Campus. The Chicago School is accredited by the WASC Senior College and University Commission, (WSCUC), and its Clinical Psychology Doctoral Programs in Chicago and Washington, D.C. are accredited by the American Psychological Association. With more than 20 graduate degree programs, thousands of hours of real-world training, and a wealth of international opportunities, TCSPP is the leader in professional psychology education. To learn more, visit www.thechicagoschool.edu.